Self: 100% nylonLining: 100% rayon. Dry clean only. Fully lined. Semi-sheer overlay. 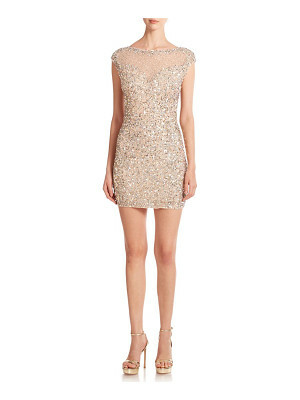 Allover sequin embellishment. Metallic thread accents. FREE-WD1305. OB713129. 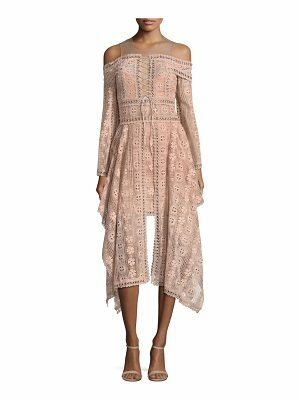 Free People invokes a spirit of femininity and creativity. Throughout their line of sweaters, tees, dresses and more, each piece incorporates a high level of quality and originality that reflects their adventurous it girl. With all that's constricting in the world today, Free People says your clothes don't have to be. Be yourself, be creative, be free.